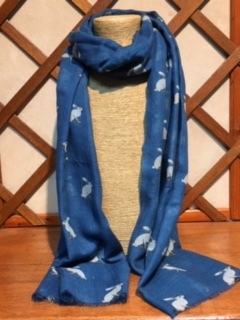 This Tulchan hare print scarf features a cute rabbit-like motif, made from 100% wool, this scarf will keep you warm yet still drapes well. Tulchan scarves make great additions to any wardrobe. Combine them with jackets, shirts or jumpers to add a beautiful colour boost and look great.